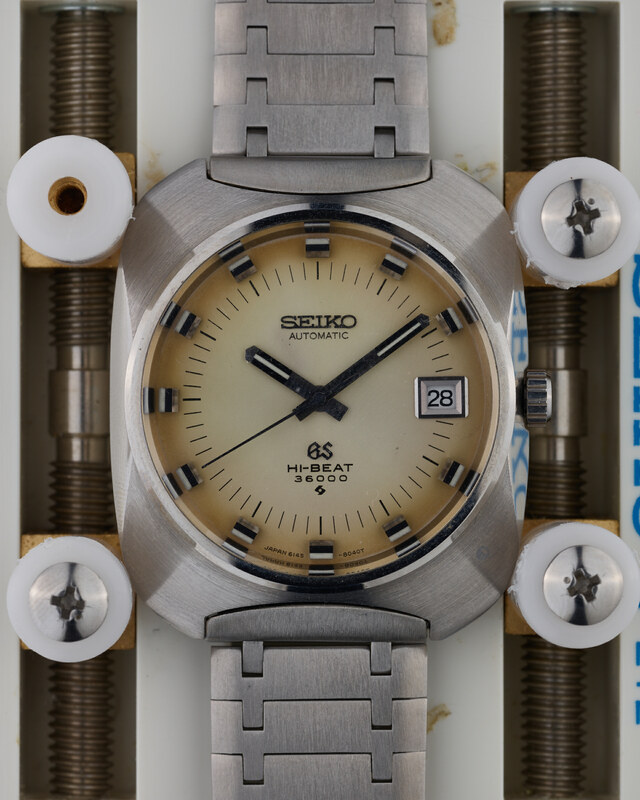 The 6145-8020 has one of the most remarkable designs of any vintage Grand Seiko. 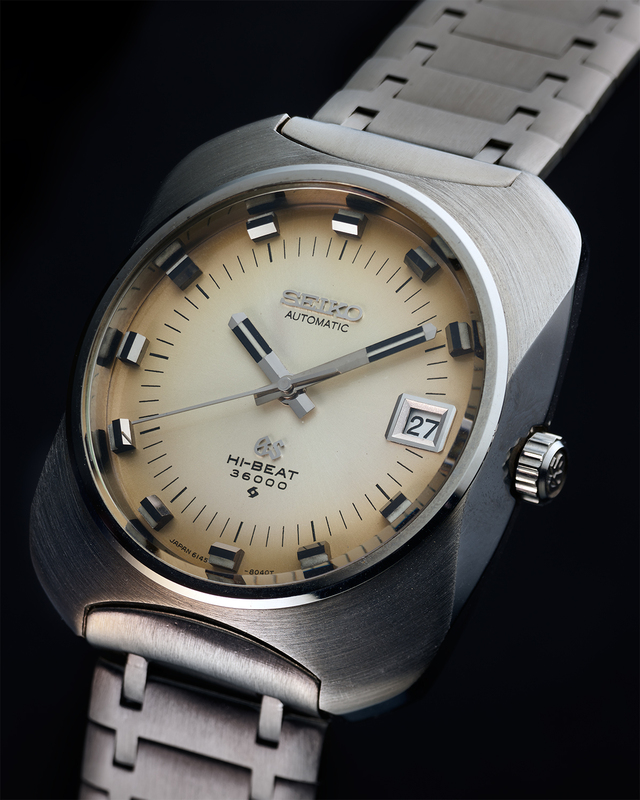 It was launched in the first half of 1970 with both white and dark blue dials available. 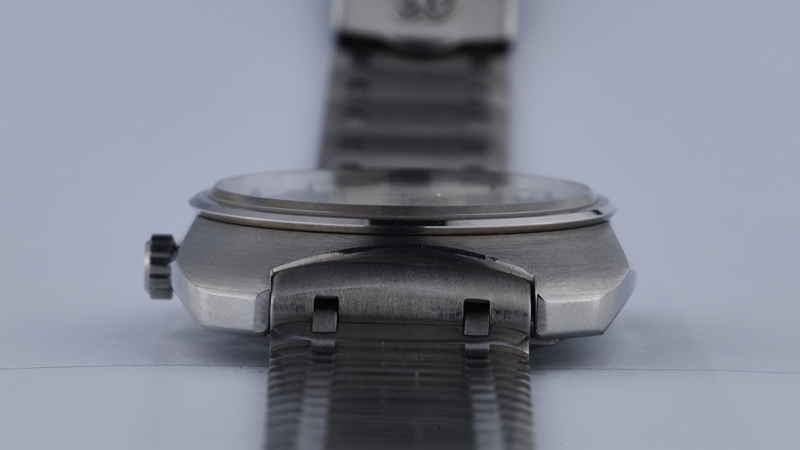 It is common for the white-dialed examples to develop a radial patina, with an almost “burnt look” developing towards the edge of the dial. 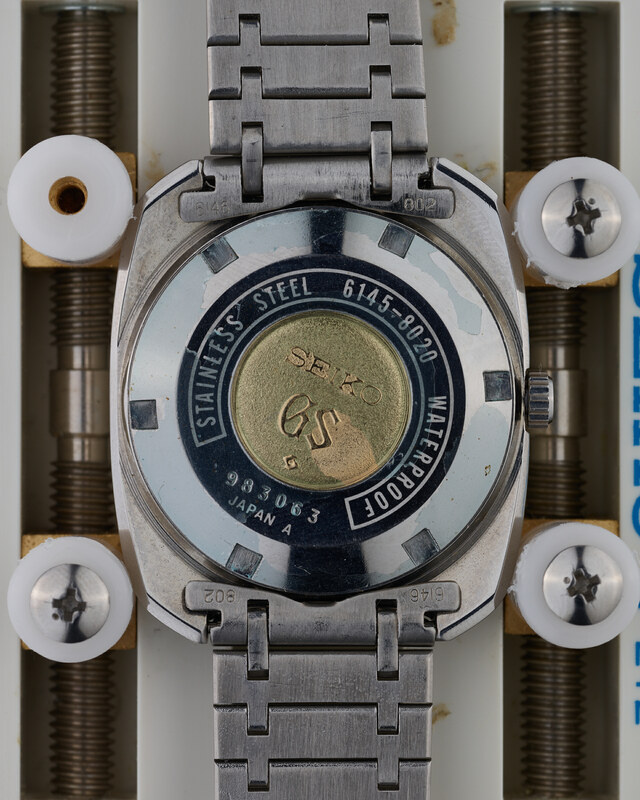 Two essential things to keep an eye out for with this model are the bracelet – it was only ever sold with the bracelet you see in the photos – and the finishing on the case. 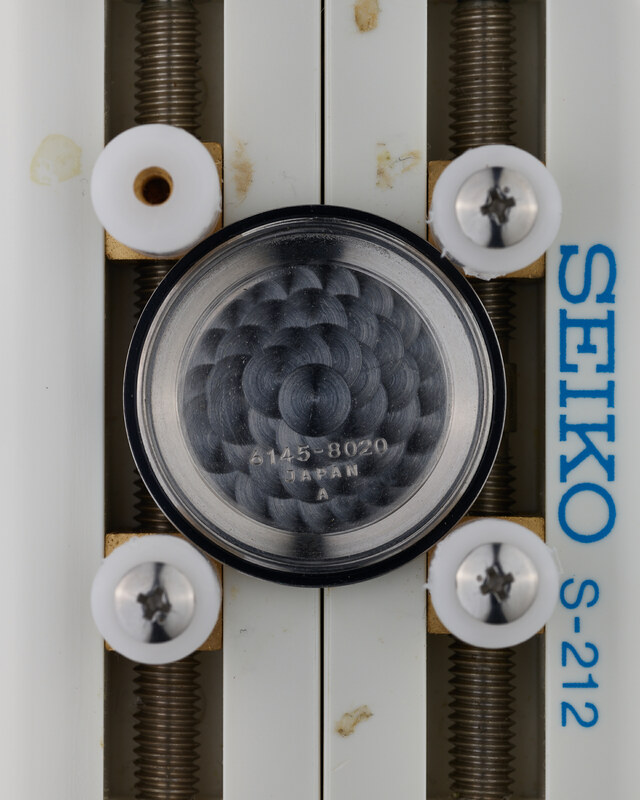 The vast majority of examples of this model that we have seen have had the original finishing ruined from polishing. 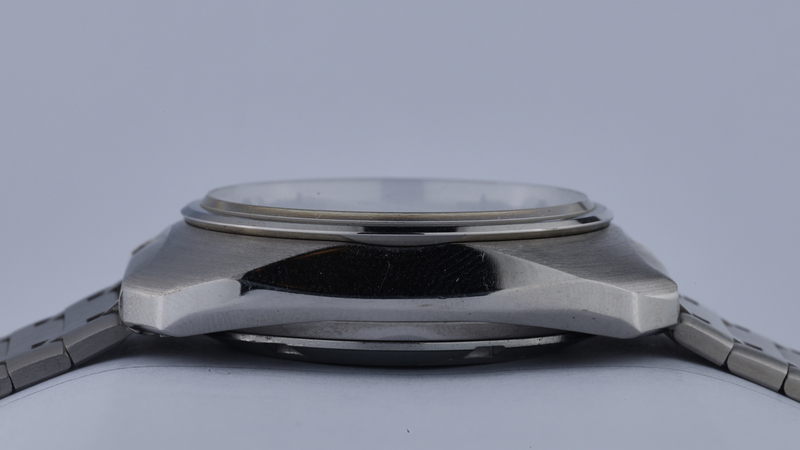 The front side of the cushion case should have a circular brushing finish, whereas the sides should be mirror-polished. It is highly unlikely that we will ever find another example as good as the one on offer here. 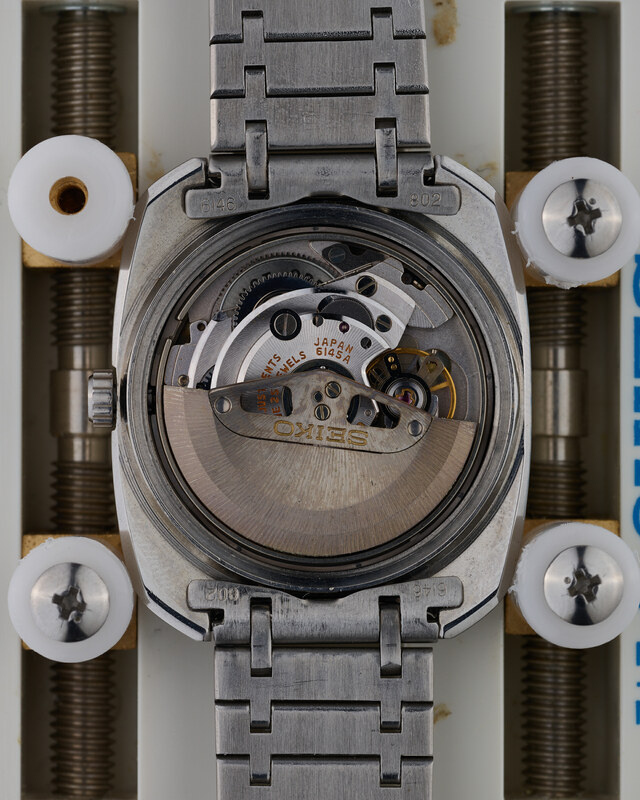 Quite simply, because based on very close examination of the bracelet, we do not believe this watch has ever been worn – it is as mint as a watch can be. 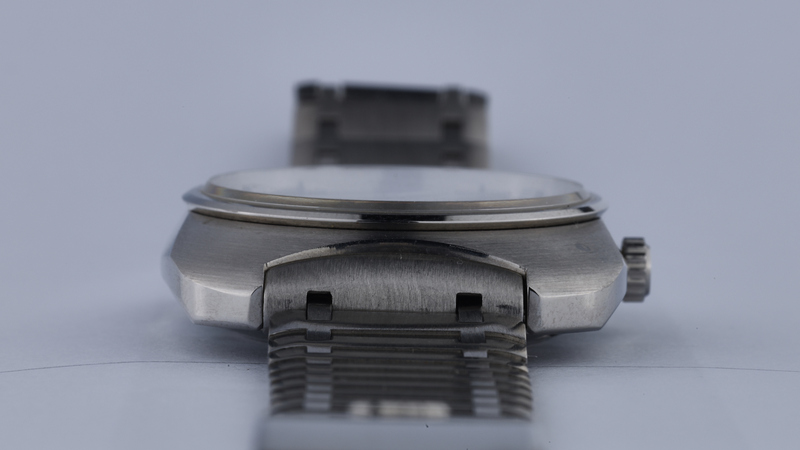 Included with the watch is its original price-tag. 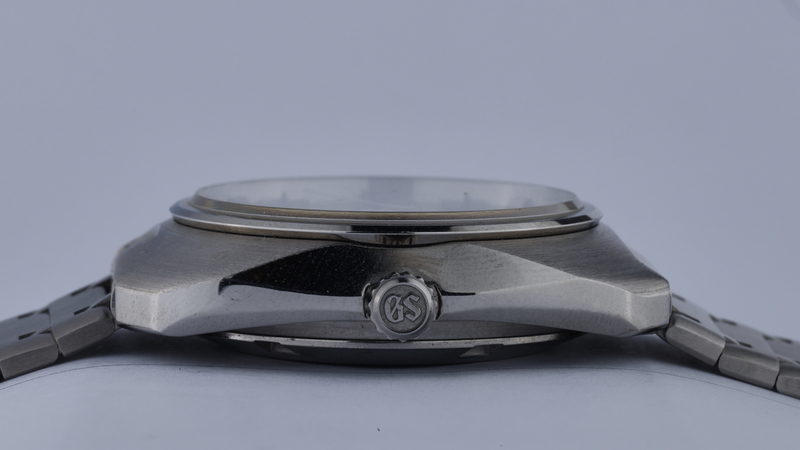 This watch was serviced in April 2018, comes with a 1 year guarantee (refer to the FAQ page for details), and is currently running at +8 seconds per day on a time grapher in the dial-up position.